A union’s urgent struggle to preserve The Denver Post has been joined by the paper’s editorial page. When The Denver Post’s editors revolted against “vulture-capitalist” ownership and suggested it might be time for their newspaper’s hedge-fund masters to sell the regional daily to someone—anyone—who cared about journalism, they did not propose a sweeping plan to address the crisis of democratic communications in America. They simply said—as the paper’s current owners (Alden Global Capital) prepared to cut more jobs and further reduce the ability of an already downsized daily to cover a city, a region, and a state—that enough is enough. It is not exactly “news” that a major daily newspaper faces the very real threat of being killed by profiteers who neither understand nor care about journalism. That’s a common story these days, in cities across the country. But it is newsworthy, and inspiring, when journalists rise to defend journalism. How Many Palm Beach Mansions Does a Wall Street Tycoon Need? The Post’s editors acknowledged they were late in speaking up. Vital newspapers have been dying for years nationally and in Colorado—where the great Rocky Mountain News ceased publication almost a decade ago. The decline of daily newspapers has, too frequently and too casually, been blamed on “changing times”—the rise of digital communications, the movement of advertising to new platforms and new algorithms—but there was always more to the story than the technological or social disruptions of the era. Yes, the digital age has altered everything about our communications. And, yes, many once-great daily papers failed to adapt to the shifting media landscape. But a big part of the reason this adaptation has proven to be so difficult had been the scheming of profiteers to enhance their bottom lines by kicking journalism—and journalists—to the curb. There were always bad owners of newspapers, radio stations, and television stations, just as there are now bad owners of online news sites. But the hedge funds that have in recent years been buying up major daily newspapers in order to capitalize on what remains of their reputations—or the downtown real estate where big-city newspapers were once headquartered—are not just bad owners. They are, indeed, vultures who pluck at the remains not just of media outlets but of a dying democratic discourse. The Denver unit of the Newspaper Guild makes a good point. And this point is about much more than saving jobs at one newspaper in one city. Americans have every good reason to worry about the challenges to democracy posed by fake news. But they need to understand that fake news thrives in the news deserts that remain where newspapers, radio stations, television stations, and online news sites are no longer sufficiently staffed to practice a journalism sufficient to check and balance the spin doctors, the liars, and the false prophets of a win-at-any-cost politics. The cuts, backed by our owner, the New York City hedge fund Alden Global Capital, also are a mystery, if you look at them from the point of view of those of us intent on running a serious news operation befitting the city that bears our name. Media experts locally and nationally question why our future looks so bleak, as many newspapers still enjoy double-digit profits and our management reported solid profits as recently as last year. We call for action. Consider this editorial and this Sunday’s Perspective offerings a plea to Alden—owner of Digital First Media, one of the largest newspaper chains in the country—to rethink its business strategy across all its newspaper holdings. Consider this also a signal to our community and civic leaders that they ought to demand better. Denver deserves a newspaper owner who supports its newsroom. If Alden isn’t willing to do good journalism here, it should sell The Post to owners who will. “Sell now before it’s too late,” argues the Guild. Saving this one newspaper won’t necessarily create a model for preserving journalism in other cities. But it could. What we know is this: It is necessary to defend newsrooms, to rise up on behalf of old and new media sufficiently staffed to cover cities, states, nations, and the world. 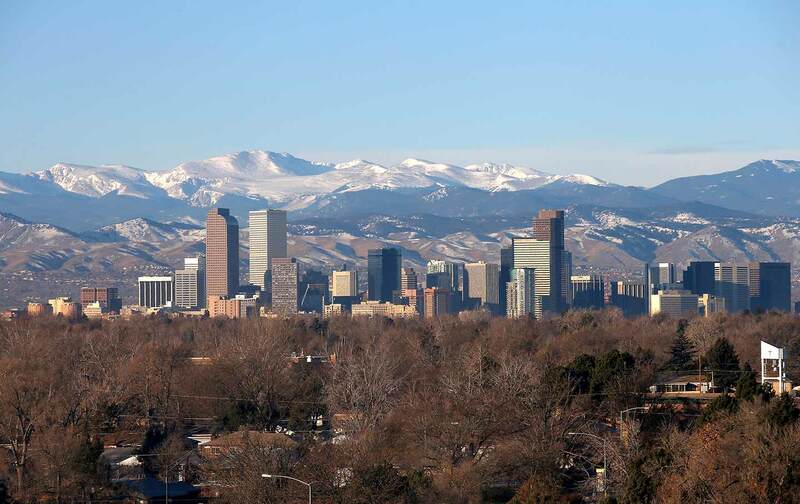 Denver is as good a place as any for a pivot toward a more militant struggle—a struggle that recognizes, finally, and unequivocally, that we must sustain journalism in order to sustain democracy.